Quiet loop road with some gravel and outstanding scenery. Travel time approximately 1.5 hours. 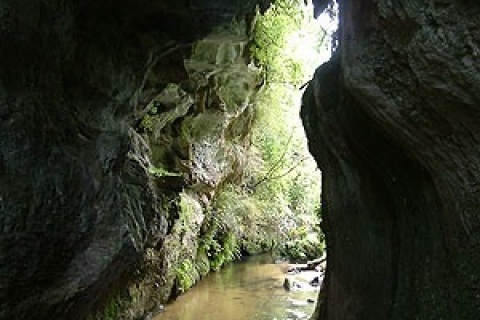 Mangaotaki Scenic Reserve, a 20min walk on a formed track through native bush. Many of the trees are named. 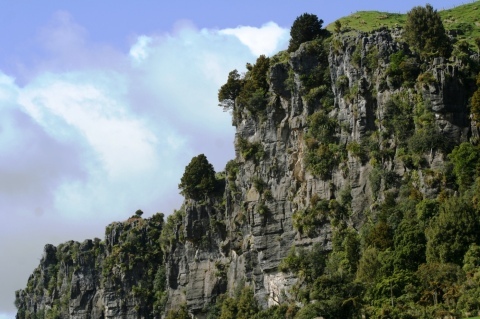 Mangaotaki Cliffs, Film location of The Hobbit: An Unexpected Journey, directed by Peter Jackson, and new tourism venture 'Hairy Feet Waitomo'. 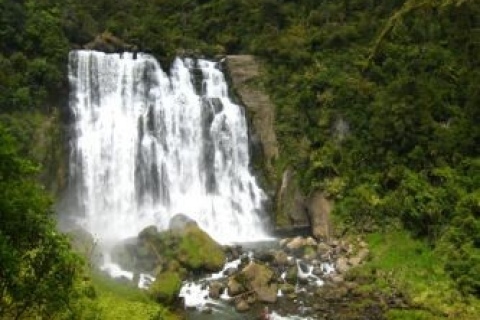 Waitanguru Falls - Well formed track through native bush to scenic waterfall. - 5minutes. Mairoa Road - Excellent views, especially to the south and east. Direction of travel: Travel south through Piopio, turn right into Kaka Street, veer left into Mangaotaki Road, turn right into Pungarehu Road, turn right into Mairoa Road and return to Piopio. 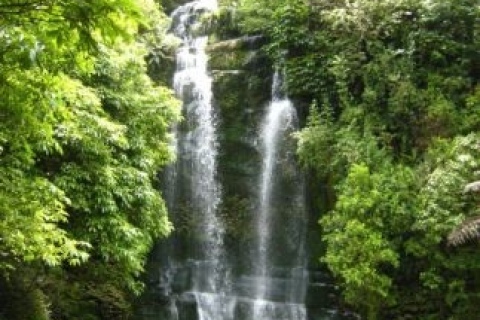 Travel via Pomarangi Road to Kiritihere Beach, Marokopa Beach, Marokopa Falls, Piripiri Caves and Mangapohue Natural Bridge. Return via Waipuna Road. We advise that you download pdf of our brochure 'Scenic Drives & Loop Roads' if planning the extension.